Chad Solvie, chair of our Club’s DV Committee, updated our membership on the work that has been done thus far, including a recap of the history of Ardis Morrow and her mission, a result of the loss of her great grand-nephew Eli who died in 1986 at the hands of his father. 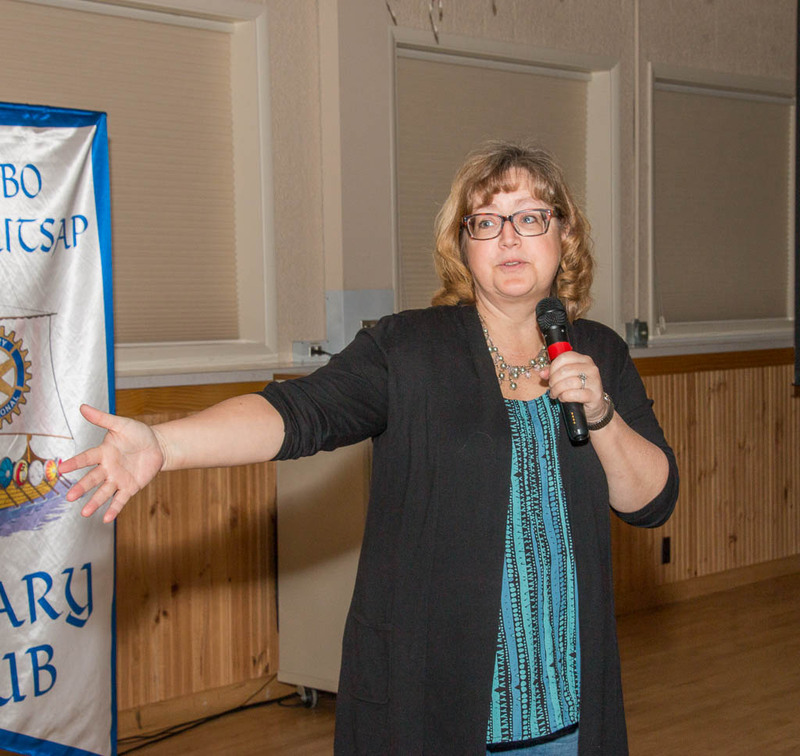 Her desire for change has not lessened in the decades since, and Morrow Manor, 8 units of supportive housing being built in Poulsbo with Ardis’ inspiration and Rotary’s help , is now almost a reality, a torch carried through 5 Poulsbo Rotary President terms! So far, 730 donors have given $2.9 million, likely more than enough to complete the project. 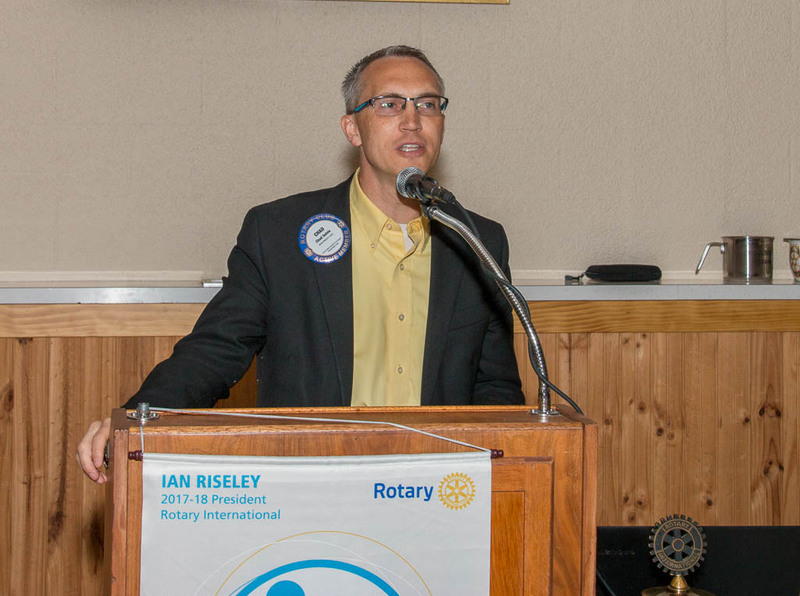 Well done, Poulsbo Rotary! 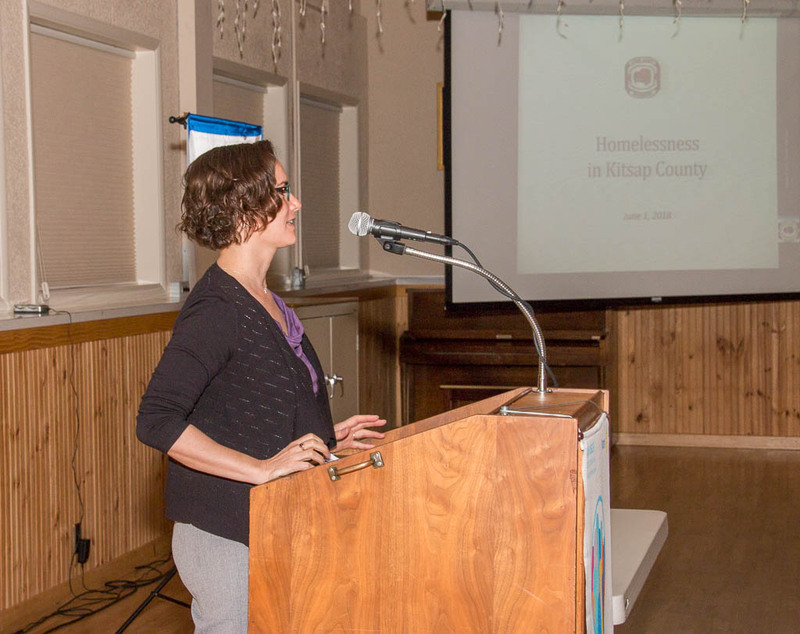 As the Housing and Homelessness Program Coordinator for Kitsap County’s Department of Human Services, Kirsten Jewell painted a sobering picture of the housing crisis in Kitsap County. A lover of data, she cited a number of statistics that helped identify the contributing factors in local homelessness, including an accelerating cost of rentals and home purchases, the increasing number of people moving to the area in search of work and a better life, and the lack of affordable housing inventory or projects in the offing. Add to that mental illness, addictions and a lack of living wage jobs, and we begin to see the magnitude of the challenge. While some progress is being made, especially for veterans in the area, we have much work ahead. Ideas like the use of tiny homes and shared home programs like the HomeShare program at Fishline continue to be some of our most promising options for the near term. Kirsten encourages us to consider county-wide solutions approaches to creation and maintenance of affordable options, an increase in permanent supportive housing for vulnerable populations, and continued coordinated entry through agencies like the Housing Solutions Center of Kitsap Community Resources. Her advice on how you and I can help? “Talk about this with each other, with your community leaders, in your neighborhoods.” Kirsten has given us plenty to talk about, and think about, and we’re grateful for her unflinching view of a difficult problem for many communities.